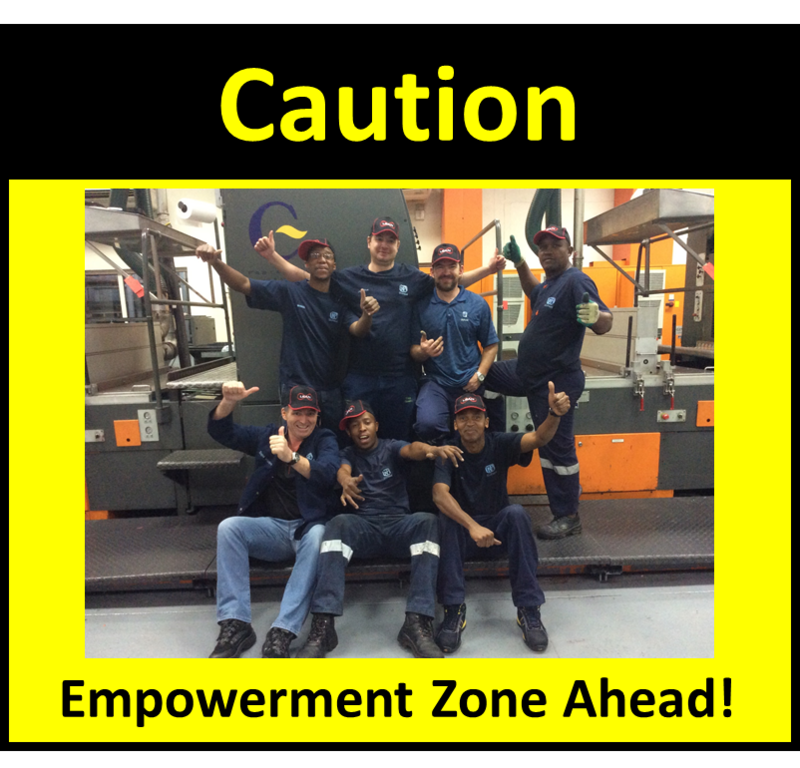 How do you create an ’empowerment zone’?…a place where people can take ownership of their workplace. This includes being able to influence decisions and actions related to your work as well as the look and feel of your workplace. Socrates said “The secret of change is to focus all of your energy, not on fighting the old, but on building the new.” LEAN tools are the quickest and most sustainable way to empower teams to take back ownership of their workplace . A good example of this is a recent project we did using the 5S Workplace Organisation and S.M.E.D. tools to help the team take ownership of their workplace. It is a story many have heard before…ineffective multi-level communication leading to lack of accountability and teams performing below their potential. 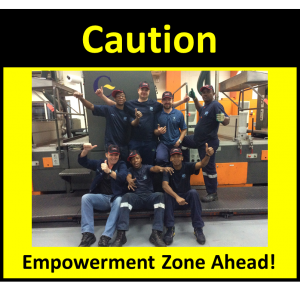 Step 1 was to get the team to be able to influence decisions made regrading their workplace layout and equipment maintenance through visual communications. Using 5S’s they planned their workplace layout, cleared out all unnecessary items and plotted where everything should go. By demarcating ‘parking bays’ with yellow floor tape they ensured that support services always placed the bins and palettes in the same place resulting in reduced clutter and always having materials in place. Red tags were used to identified equipment faults and to generate job cards for the maintenance team to plan repairs. Action lists showing work to be done are displayed on their notice board and are discussed and updated daily. Step 2 was to have the team create their own benchmarks regarding performance. Continually competing against yourself and focusing on beating your previous best creates a ‘winning culture’. Beating the world record is the eventual target. The team are busy creating process maps for each changeover and are already looking at ways to improve the initial times logged. They have also developed housekeeping, lubrication and operations maintenance schedules. After a week the team has identified 18 improvements, which they want to implement in their workplace. They have prioritised them, posted them on their notice board and have an execution plan for the first two. Operator and maintenance teams are talking to each other about equipment improvements and discussions are being held with support services on how they can assist in improving the overall performance. The team is starting to take charge…a great thing to see.